A regular vehicle service ensures that your vehicle is safe and is running at optimum performance. 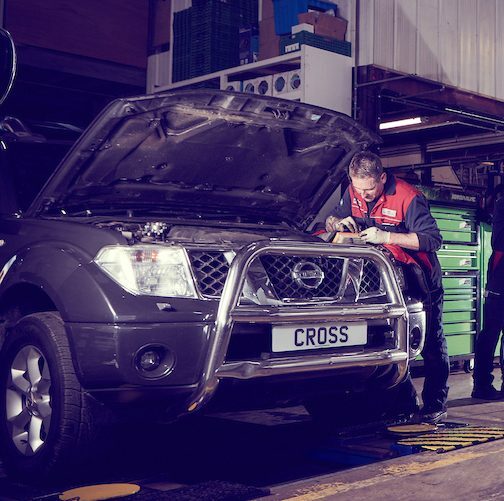 We would advice that a vehicle is serviced either annually or ever 10,000 miles. If during the service we find faults or parts that need replacing, we will contact you and quote a price prior to commencing any further work. Courtesy cars * can be supplied meaning there is no disruption to your day while your vehicle is being serviced, please ask when booking. When a vehicle is built, the vehicle manufacturer sets out a service schedule which they believe will keep it running reliably and safely. This schedule normally consists of up to 85 checks but will vary from vehicle to vehicle depending on the size of engine, mileage, transmission. For the manufacturer warranty to remain valid then it’s important that this service schedule is adhered to. Cross Motor Engineering install OE specification parts. 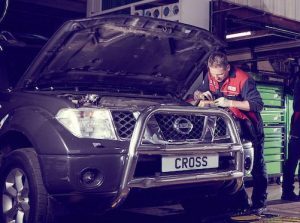 At Cross Motor Engineering we have many years experience servicing all makes and models of vehicle including prestige vehicles such as BMW, Mercedes and Audi as well as vintage and commercial. We will ensure that all the necessary checks are carried out as per the vehicle requirements so you can rest assured, the vehicle will be in a first rate condition. All servicing is carried out to industry standard as regulated by the Good Garage Scheme. A full range of supporting literature is supplied with every service. Modern servicing requires full diagnostic capabilities some service warning systems now require a vehicle software update. Cross Motor Engineering are perfectly placed with these technologies. * Please note customers are responsible for insurance cover for courtesy vehicles whilst in their use.